Are you organising a corporate golf day or a weekend away with the lads? We have a huge range of promotional golf products, that will look fantastic with your company logo or message, regardless of the budget. Give them a gift they'll remember, long after the day has gone! 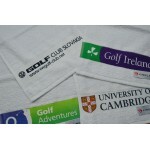 It's not until you forget you golf towel, that you realise how important it is! 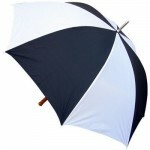 From cleaning your c..
BUDGET GOLF UMBRELLA30 Inch Double Rib Golf Umbrella with Steel Frame & Wood Handle. 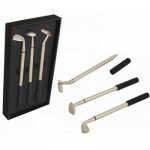 Also Availa..
DIVOT TOOLGolf Divot Repair Tool. 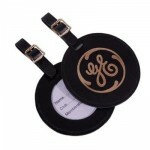 Antique Brass Plated with an Epoxy Round Disc That Can be Printed .. 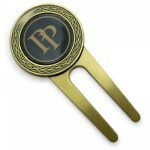 GOLF CAP CLIPSaves Time Shuffling in Your Pocket Looking for That Lucky Ball Marker. Simply Clip It .. 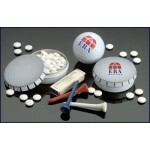 GOLF MINTS TINMini Clic - Clac ® Golf Ball Style Tin with Mints. 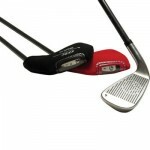 Size: 53 x 18mm..
NEOPRENE GOLF IRON CLUB COVERCover for a Golf Iron Head Made From Neoprene. Can be Printed One Colou..
Dri-Fit Polo!Made of 100% Polyester, this smart Nike shirt was the best seller in 2014.Nike swoosh t.. Promotional Custom Polo Shirt is fully breathable and branded for your next sporting themed marketi.. Durable woven nylon/poly material. External water-resistant fleece-lined valuables pocket. External .. 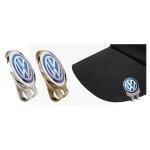 Product Code: 5IMP Our best selling budget golf promotional umbrella provides a cost effective and p..